From delicately embossed soap to expertly fragranced drawer liners, everything in the Sweet Pea and Honeysuckle collection can be purchased for £10 or below. At such great prices, why not get in touch with nature and infuse your daily routine with a splash of botanic finesse this summer? The bright and cheerful scent of sweet peas, combined with aromatic honeysuckle, is evocative of nature’s beauty. The combination of these two carefully selected aromas comprises a delightfully scented duo with an enduring appeal. Kicking things off: wrapped in wax paper and housed in a charming decorative box, we have an exquisitely crafted, lightly scented soap. Triple milled and blended with shea butter, this ideal gift item cleanses, softens and lightly fragrances the skin. Next up: bring the outdoors in with Heathcote and Ivory’s elegant Sweet Pea and Honeysuckle Eau de Toilette, encased in a sophisticated glass bottle. A light application is all you need to wear the natural scent of Sweet Pea and Honeysuckle all day long. Bring elegant design to your daily unwind by soaking in a bathtime bouquet. For a unique bath time experience, spoil yourself and indulge your senses with our delicately scented Sweet Pea and Honeysuckle bathing petals. Our delightfully decorated and splendidly scented drawer liners, featuring mixed sweet peas and honeysuckle, are a colourful, pleasant-smelling addition to drawers, shelves and cupboards. On the move this summer? The Sweet Pea and Honeysuckle travel hand care set is ideal for flights. Both items in this set: cuticle and hand cream—at 15ml and 30ml respectively—fall under the 100ml restriction for hand luggage. These creams are packed with vitamin-giving ingredients and bursting with antioxidants. If you’re staying put, try the Sweet Pea and Honeysuckle moisturising bath and shower gel. Carefully formulated with added skin conditioning agent, it leaves your skin feeling as soft as sweet pea petals and as sweet as sundrenched honeysuckle. Sweet peas are an English garden classic. But growing them is not as easy as you might think. Hints can be found on the National Sweet Pea Society’s website. 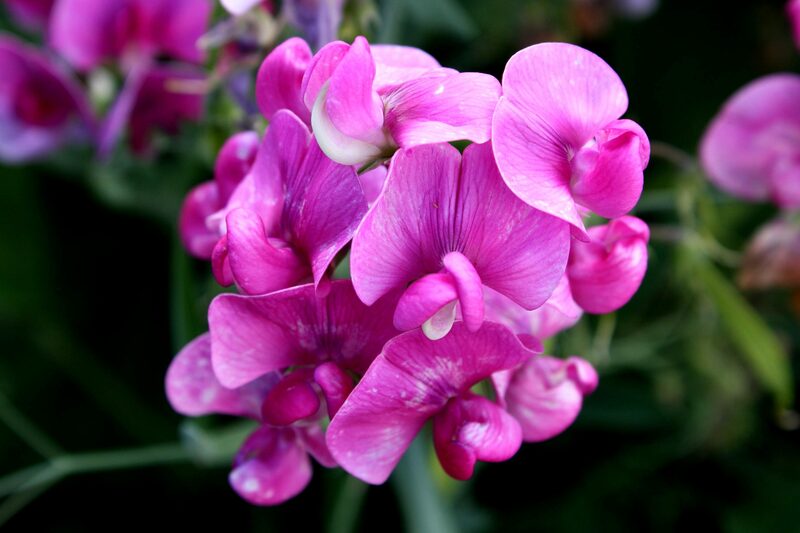 There are countless varieties of sweet pea and they are a common sight in gardens up and down the nation. There are two types of honeysuckle: climbing honeysuckle works well draped over pergolas and supports, whereas evergreen, shrubby types make good hedging plants. According to the Royal Horticultural Society, depending on the variation, honeysuckle will flower either in summer, late winter or spring. With our Sweet Pea and Honeysuckle collection, we have brought together these two icons of British gardening to create a range that truly brings the beauty and fragrance of nature into your home. Discover our products today and bring some floral charm to your daily beauty regime.